Take a 10-day tour to unravel some of the mysteries of India. Travellers will start their journey in Delhi, the capital of India – a bustling metropolis which seamlessly blends history with features of a modern city. After two days in Delhi, the tour will follow to Jaipur, also known as the Pink City after its distinct colour of walls and buildings. 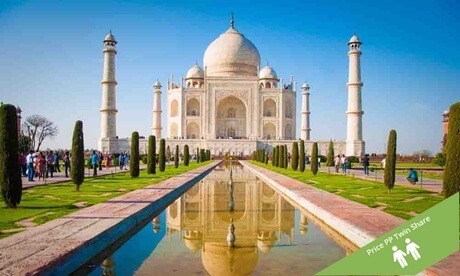 The next destination is Agra, where tourist will have the chance to visit the Taj Mahal and other architectural marvels. Holidaymakers will also visit Khajuraho boasting the UNESCO-listed carved monuments and temples, and Varanasi, the holy pilgrimage centre set on the west bank of the Ganges.